After taking the picture of E6036 at Prescott in sunny but less than ideal conditions on 9 July 2011, I was dubious about going to the nearby bridge at Dixton bearing in mind that it would be extremely backlit for the return working. I decided to risk it, as a large all enveloping bank of black cloud was approaching from the west, meaning there would be no problem with the sun. You can guess what happened next. The sun found the tiniest hole in the cloud! 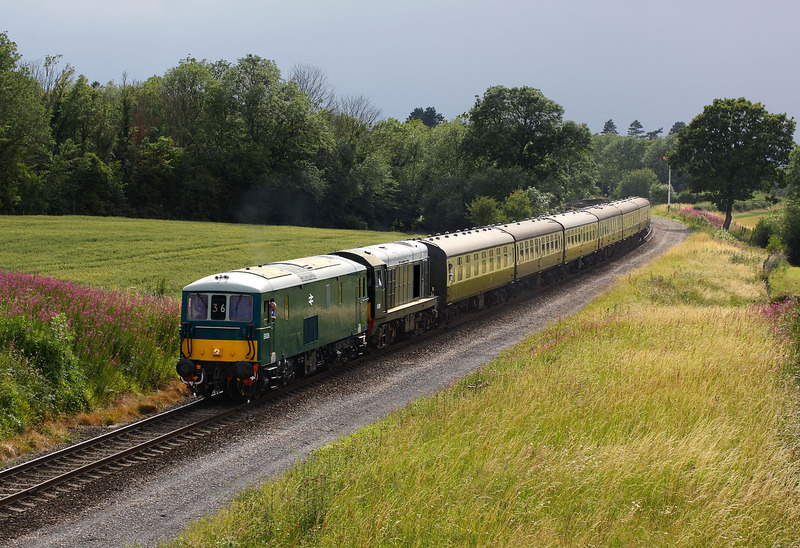 So here is a mega back lit picture of E6036 & D8137 with the 16:50 Cheltenham Racecourse to Winchcombe service.